The Cabins at the Grand Mountain are some of the popular accommodations of Thousand Hills Hotel & Resort in Branson. It is beautifully located in a rustic and tranquil wooded setting around the Ozark mountains. These log cabins in Branson are sure to provide guests luxurious and comfortable living. These cabin rentals are perfect for guests who want to enjoy a wonderful vacation in a calm environment with a relaxing atmosphere and stunning wildlife. Log cabins in Branson are minutes away from famous attractions and just two blocks from 76 Country Music Blvd. The perfect accommodation that you have been dreaming of spending a wonderful vacation with the family is sure to provide you a fantastic experience as there are plenty of fun activities offered at the resort. Thousand Hills Hotel & Resort is one of the most chosen lodging providers in Branson as it’s in this place where you can enjoy a fantastic vacation escapade with its beautiful ambiance, great amenities and easy access to many exciting attractions in Branson. The beautiful location of the log cabin in a secluded place provides you a rare opportunity to unwind and relax in a tranquil environment. Many Branson visitors know that staying in a regular hotel accommodation does not bring convenience and comfort. That is not true with the log cabin at the Grand Mountain as it features a beautiful design with high-end amenities that include cable TV with HBO, free wi-fi access, a DVD player, and Jacuzzi tub. 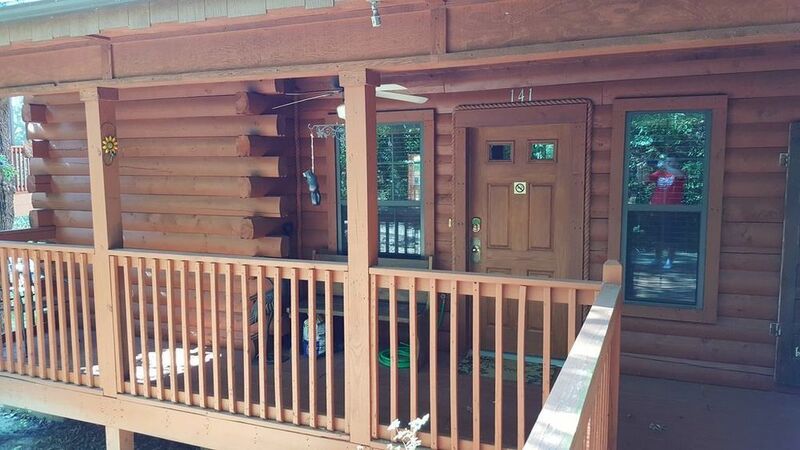 Every log cabin at Thousand Hills features also screened porch allowing guests to view the beautiful natural scenery. The kitchen of each cabin is fully furnished with modern appliances such as a fridge, microwave oven, washer and dryer, dishwasher, dishes, pots and pans, and other kitchenware and utensils. Log cabin accommodation which hasn’t been known for many years became popular after many clients have testified the excellent services they have enjoyed. The luxury log cabins at the Grand Mountain feature the best package that includes excellent amenities and a picturesque view of the wildlife from the porch of the cabin. Each year, millions of visitors flock to Branson to enjoy the beauty of nature where you get the chance to hear the bubbling of the creek nearby and the beautiful tweets of birds on trees. These log cabins in Branson offer vacationers luxurious and comfortable living but affordable accommodation located in the heart of Branson. Staying at Thousand Hills log cabins gives you the opportunity to experience good old hospitality in the Ozarks. While the place is near the Thousand Hills Golf Course, you can have the chance to play with the most popular 18-hole golf course in Branson. If playing golf is not your thing, you can enjoy other fun activities as the resort features excellent amenities such as indoor/outdoor pools, tennis and basketball court, game room, and a fitness center. If you want to enjoy more fun activities after spending a great time at Thousand Hills, why not visit the Splash Country Indoor Water Park at Grand County Resort. Here you can enjoy great indoor activities on the water. This beautiful water park in Branson features 3-story treehouse complete with water slides, lazy river, toddler pool, a 1,000-gallon tipping bucket, pool, basketball, hot tubs as well as a seasonal outdoor park. Inside the water park, you will also find Mining Company Grill which offers burgers, hot dogs, French fries, funnel cakes and more. Your fun activities in Branson will not be complete if you don’t try exciting water activities at Splash Country. Located at the Grand Country Square entertainment complex, Splash Country Indoor Water Park is one of the most visited water parks in Branson as this is one of the very few parks where great water fun activities can be enjoyed all year round. This water park in Branson was designed to be a favorite vacation spot for families as the park features the most water fun activities where every visitor is sure to enjoy a fantastic fun activity in Branson. Splash Country is a great place to have some fun with the whole family and friends as it features many fantastic water rides and great water activities to help make your spring vacation in Branson a memorable one. Water attractions at Splash Country can be enjoyed indoor and outdoor – which allows you to have more hours of fun no matter what time of year you’re visiting or whatever the weather is like during your visit. The fascinating indoor water activities offered at Splash Country include a fun and exciting basketball game at Basketball Play Pool; the Lazy River, great for those looking to relax and unwind, as the calm current takes you along more than 250’ of calm waters; and a bubbling water and jets that provide a natural hot springs at Melting Pot Spas. And also the Treehouse, towering over the water features beneath and includes 1,000-gallon bucket that splashes to those who come by; and Toddler Pool, built for fun for young ones, with slides, swings, and more than 2,000 square foot area. Froggie Bog, a shooting jets of water coming from five different directions. Eureka Mine which takes you down a thrilling waterslide down which is sure to give you a heart-pounding experience. McCoy’s lying in wait to use waterfilled buckets and will pour to anyone who comes close. 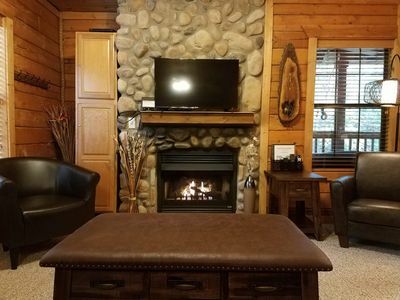 If you are planning to spend a vacation escapade in Branson and want to stay in a peaceful cabin in the middle of fun activities in Branson, look no further than the log cabins at the Grand Mountain.